The Clinical Research Management System (CRMS) contract opportunity is a great opportunity for the small business contractors on the Chief Information Officer – Solutions and Partners 3 (CIO-SP3) IDIQ. The National Institutes of Health’s (NIH) National Institute of Allergy and Infectious Diseases (NIAID) should be looking to re-compete its CRMS contract late this spring. Currently, Digital Infuzion is the incumbent, and it’s been engaged with NIAID in related capacity since at least 2002. The CRMS supports the data and clinical research process needs of NIAID’s divisions and offices. The NIAID CRMS streamlines information management by bringing together 23 components from four NIAID divisions into an integrated platform: Division of AIDS (DAIDS); Division of Microbiology and Infectious Diseases (DMID); Division of Allergy, Immunology, and Transplantation (DAIT); and the Vaccine Research Center (VRC). Through this platform, NIAID is better able to advance its research efforts to contribute to the understanding, treatment, and prevention of diseases. Deploy Apache “Solr”-based document library systems to provide faster access to CRMS documents. Solr is an open-source enterprise search platform, written in Java. Its major features include full-text search, hit highlighting, faceted search, database integration, NoSQL features, and rich document handling. Digital Infuzion will not be alone in its likely pursuit of the new task order. The following companies – all CIO-SP3 Small Business contract holders that have substantial work with NIH – may have the client knowledge and technical capability to win. While these CIO-SP3 small business Primes have benefited greatly by working for NIH, this list is much shorter if we only look at the companies who have performed work for NIAID: Digital Infuzion, Seamon Corporation, and AINS, Inc. It is worth noting, however, that CTIS was the original Prime developing DAIDS-ES, with Digital Infuzion serving as a subcontractor. Additionally, while ASRC Federal has not been a major player in the NIH market, it may see this as a stable growth opportunity; ASRC Federal is a small business that competes like a large, giving them a potential advantage in this competition. NIH awarded this task order in 2013 through CIO-SP3 SB. It has spent $39.7 million since then – just under $8 million per year. The task order is set to expire at the end of September 2018, meaning that the acquisition planning cycle is likely to start late this spring. Until NITAAC, the NIH contracting authority, shifts Digital Infuzion to the ‘other than small business’ classification, that company will possibly be able to compete for this and other small business set-aside task orders. That requires the choice by the customer to make the change to a contractor that’s worked with it for over 15 years. Unless that happens, the incumbent will maintain a meaningful competitive advantage. While 23 CIO-SP3 SB Primes have performed Prime work with NIH in some capacity, very few of these companies have performed work within NIAID. This task order has averaged just under $8 million per year and has consistently received that amount each year. This task order is well funded and consistently so. The CRMS touches four of NIAID’s divisions (DAIDS, DMID, DAIT, and VRC), providing potential access to stakeholders across the institute OR potential leverage of those related customers into the larger organization. Keep an eye out for this RFP since it should be hitting the CIO-SP3 streets within the next few months. Stay focused. Do your capture homework. 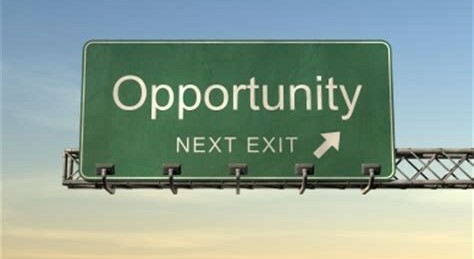 There are some great opportunities out there. Good hunting! This analysis was created by Andrew Coffey, Consultant at FedSavvy Strategies. 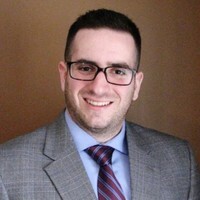 Andrew is an experienced competitive intelligence and business development analyst with experience in the technical services, defense, and security fields and degrees in intelligence from the Ohio State University and Mercyhurst University. FedSavvy Strategies is a consulting firm focused on strategic planning, market analysis, capture management and competitive intelligence for U.S. Government contractors selling professional services. Hi Andrew, Thanks for the wonderful analysis and the article, very insightful. I am quite interested to learn more about this and decide if this is something that is in our swim lane. Can you please tell me where we can get some more information on this? Last solicitation or RFI/ SSN if they have released for reading? Please feel free to reach me at [email protected] for any questions.